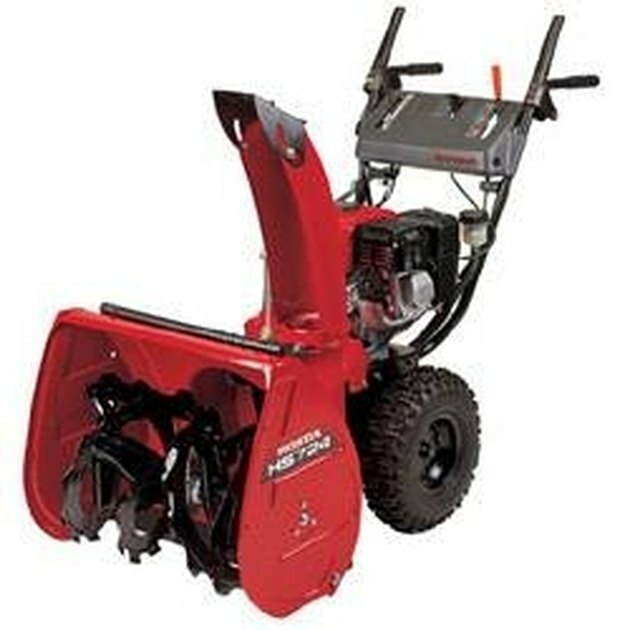 Cold-weather machines, like snow blowers, require the same amount of attention and maintenance that their warm-weather counterparts require (e.g., lawn tractors, lawn mowers, weed eaters, brush cutters, etc.). Their oil needs to be checked and changed regularly, their fuel filters (if they have them) need to be replaced regularly and fuel stabilizer must be used in them to keep the fuel fresh and ready to go. If any of these maintenance requirements are neglected, your snow blower will experience starting problems and delay your date with what the recent snow storm delivered. The throttle and choke position are important when starting the engine. The throttle has to be in the Fast position. If the engine is cold, the choke has to be open; if the engine is warm, the choke has to be closed. The engine may not be getting fuel. The fuel valve may be off or there may be goop in the sediment cup in the carburetor. Turning the fuel valve on is a simple fix. Cleaning the sediment out of the carburetor is more complicated and may require the help of a qualified service technician. The engine may not be receiving a spark. The spark plug may be loose or unattached and just needs to be reattached. The spark plug may also be dirty. Remove the spark plug, clean it and check the gap to be sure it is correct. If all is well, the spark plug may need to be changed. The fuel may be old and stale. Empty the existing fuel and replace it with fresh, high-quality fuel. Treat the fuel with a fuel stabilizer. Why Does My Weed Trimmer Stall When I Tilt the Engine?